Explore Los Glaciares National Park: El Chalten/ Fitz Roy and El Calafate/Perito Moreno Glacier. Arrival and meeting at the airport. Transfer to your hotel. In the afternoon you will enjoy a private tour of this cosmopolitan city of 12 million inhabitants, and capital of the Argentine Republic. You will visit the most distinct neighborhoods such as Palermo, Avenida de Mayo, La Boca and Recoleta. Lodging at Hotel Intersur Recoleta or Hotel Pulitzer or similar for one night. Today you will enjoy a full day trekking excursion to Laguna de Los Tres including Piedras Blancas Glacier and base camp Fitz Roy. Picnic lunch during the excursion. 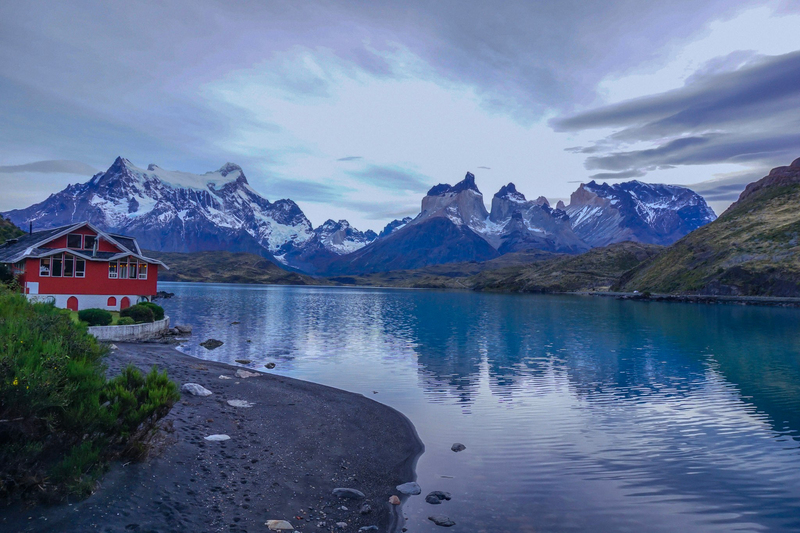 Lodging in El Chalten. (B,L). Breakfast. In the morning, you will drive back to El Calafate and your hotel: Private transfer with driver (no guide). NOTE: For a group of 2 passengers: you will take a bus (transfer to bus station in El Calafate and bus tickets included) to the Chilean Border. If you prefer a private transfer to the border please add $180 per person to the tour cost. All private transfers from and to airports. Public bus from El Calafate to the border with Chile if the group has 4 people or less. Additional $180 per person for a private transfer to the border for two people. Bilingual local guides for all excursions, most transfers, and local assistance. During the trekking expeditions in Fitz Roy area: Bilingual expert mountain guides. Boat and trekking excursions on the glacier, and visit to Estancia are shared with other passengers. Domestic flights are NOT included in the tour price. COST for the flights Buenos Aires/ El Calafate / Ushuaia/ Buenos Aires will be from about $800 per person. Price may vary. Personal expenses, tips, drinks, other meals or services not mentioned in the itinerary description.